After two days of testimony before Congress, Facebook announced that it will be dropping its opposition to the California Consumer Privacy Act. Mainstream news outlets and respected tech blogs took quick notice. Facebook is backing away from the campaign to kill California's proposed privacy law — right after Zuckerberg was grilled about its data collection practices. The social networking company, along with Google and Comcast, has been funding the opposition to the measure, dubbed the California Consumer Privacy Act, and was a part of the campaign committee working against it. But it's withdrawing its support for the opposition campaign, a company spokesman confirmed. Facebook will no longer fund campaign opposing proposed California consumer privacy initiative. A representative for Facebook said Wednesday that the company would stop contributing funds to a campaign against a 2018 statewide ballot measure that would require companies to disclose what personal information from Californians they collect, buy or share. If approved, the ballot measure would enact a new law called the California Consumer Privacy Act, which aims to enforce more transparency over data stored by companies, and give consumers a way to opt out of companies selling their data. Facebook, Google and Comcast each have contributed $200,000 since February to a campaign to defeat the California Consumer Privacy Act. Facebook Inc. FB, -1.44% is dropping its public opposition to a proposed consumer-privacy law in California, the social-media giant said in a statement late Wednesday. 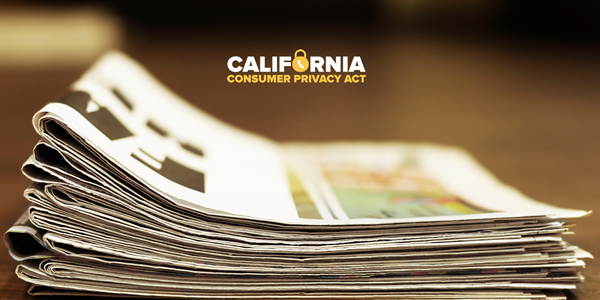 Backers hope to get the California Consumer Privacy Act on the state's November ballot. Among other things, the ballot measure would allow consumers to block tech giants from selling their personal data. San Fransisco CBS affiliate station KPIX 5 first confirmed that Facebook was no longer planning to stand opposed to the California Consumer Privacy Act, which will be on state ballots later this year. Facebook confirmed its change in position to Variety. “We took this step in order to focus our efforts on supporting reasonable privacy measures in California,” a Facebook spokesperson told Variety.